Glittering skyscrapers, magnificent mega-malls and golden sand-dunes, Dubai is a dream come true for every globetrotter. It is a place that not only gives you a true taste of luxury and grandeur but also takes you through a fantastic journey filled with adrenaline rush activities. 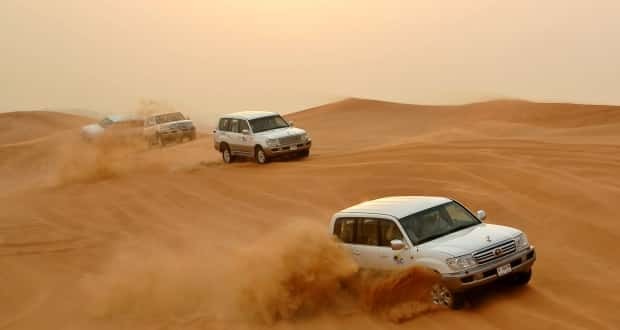 Yes, if you thought that Dubai is all about the luxurious malls and breathtaking resorts, it’s time to go beyond the ordinary and startle yourself with some of the best adventure activities in Dubai. 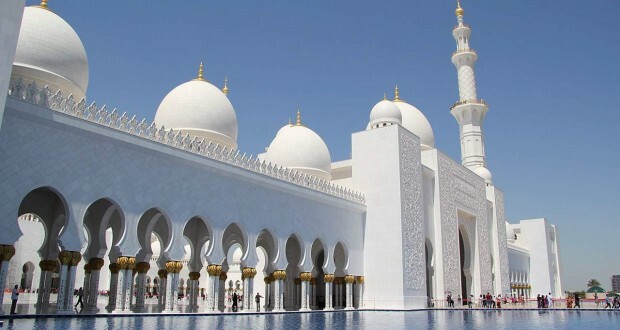 To make your trip much more comfortable, you can book any of the Dubai tour packages and experience Dubai like never before. Dubai and desert safari go hand in hand. As it is one of the thrilling experiences in Dubai, make sure that you do not miss it. 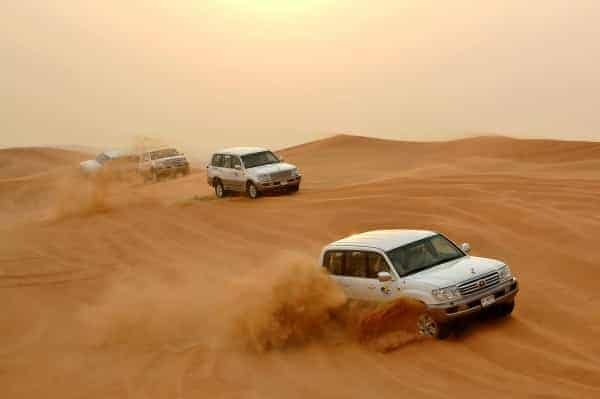 The thrill and excitement begin as soon as you enter the vast deserts riding a Land Cruiser. For an ultimate desert safari, try booking one that occurs either in the morning or at night. An overnight desert safari is the most preferred one as it lets you enjoy your night under starry sky after a thrilling ride. 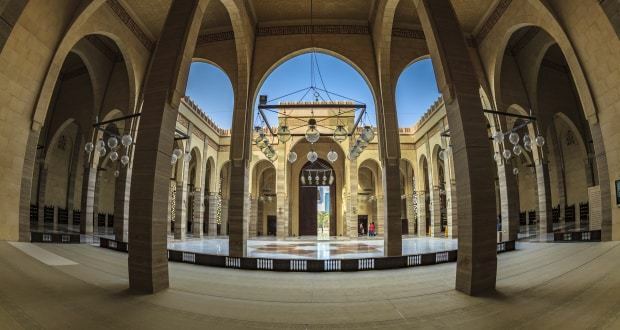 Not just this, you also get the chance to enjoy delicious dinner and wonderful belly dance performances. Even the mention of skydiving makes you feel the thrill waiting to be unleashed. One of the best adventure activities, Skydiving is what all thrill seekers must have on their list! However, do check the rules and eligibility that you need to meet to finally dive into the sky. The sport lets you enjoy a spectacular view of the Palm Jumeirah and other iconic landmarks such as Burj Khalifa, Worlds Islands, Dubai Marina and many more. If you love cycling, then Al Qudra Cycling track is definitely for you. While this city has limited opportunities to cycle, Al Qudra offers the residents and tourists a perfect 80 km long stretch of surfaced paths. The path runs along the Al Qudra Road, while some will take you on tour to the pristine desert landscapes. In short, Al Qudra Cycling track is a must for cycling enthusiasts. Sand-boarding is a blend of snowboarding, surfing and skateboarding. The only difference is that you will be riding down on the dunes. The natural smooth inclines of land that makes sliding off the board so easy with sufficient force, have given rise to sand-boarding. There is no better place to experience the same than on the sand-dunes of Dubai. If you are good at snowboarding, sand-boarding will be a piece of cake. It is one ultimate desert sports experience you should not miss! When was the last time you went for fishing? If you don’t remember it, then it’s time to make a new memory again! During your fishing adventures, you will be accompanied by expert anglers who will help you catch fishes like Cobias, Kingfish, Barracuda, Grouper and more. Deep sea fishing tends to practice the catch and release method. However, if you really want to bring your catch as a trophy with you, you can bring back 6 large fishes. Dubai is home to some of the top water sports activities, fly-boarding being one of them. It is the latest extreme sport to enter in this category. This activity majorly consists of a board with a hose that is attached to a jet-ski engine. You are attached to the board, and you go a height up 10 meters when engine pumps water out of the hose at a great force. While you are in the air, you can manage and control the board using hand controls. It is a great activity to fly like the Iron Man! No matter which thrilling or adventurous activity you choose, it is bound to leave you craving for more. Now go pack your bags and do let us know which adventurous activity you liked the most while on your trip to Dubai. Happy travelling!